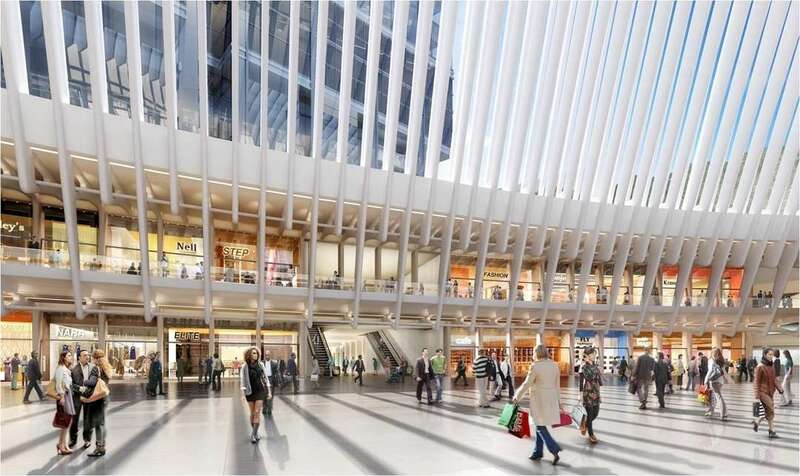 Santiago Calatrava’s World Trade Center Transportation Hub will finally open today in Lower Manhattan, over 10 years after the Spanish architect first unveiled his plans for the project in 2004. The dramatic, winged structure — known as the Oculus — has long been controversial, both due to its bold design and unexpectedly high building costs. While only part of the building is accessible to visitors this morning, the entire complex will be operational later in the year, according to the Port Authority. 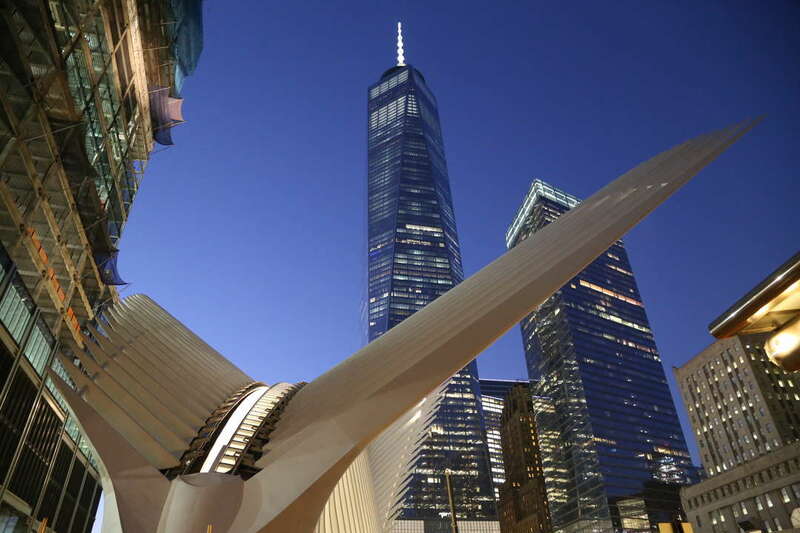 Calatrava’s structure replaces a temporary transportation hub that has been used since the original World Trade Center PATH station was destroyed in the 2001 September 11th attacks. It will serve four New York City subway lines as well as the Port Authority Trans-Hudson (PATH) line, a major commuter railroad that connects Lower Manhattan to New Jersey and accommodates some 50,000 commuters per day. The ribbed structure is characteristic of Calatrava. Its lyrical form evokes the image of a bird in flight. Its shape and color contrast markedly with the surrounding buildings, making it an unmistakable highlight of the city’s sober financial district. Fans of the building have praised its light and luminous design, while critics have questioned its practicality and cost. Whatever else can be said about the tumultuous, decade-long project, the finished product is undeniably striking. A skylight stretches for 330 feet across the building’s spine-like roof, providing natural light as well as fresh air when weather permits. The Port Authority plans to annually open this skylight on September 11th in remembrance of the victims of the attacks. Calatrava’s original scheme also included a movable roof that would allow the building’s skeletal wings to move up and down, but this feature was eliminated due to costs. In a plan reminiscent of New York’s Grand Central Station, the large, marble concourse is bordered by two levels of retail space. The architect hopes that the station will become a space that is inviting as well as functional. 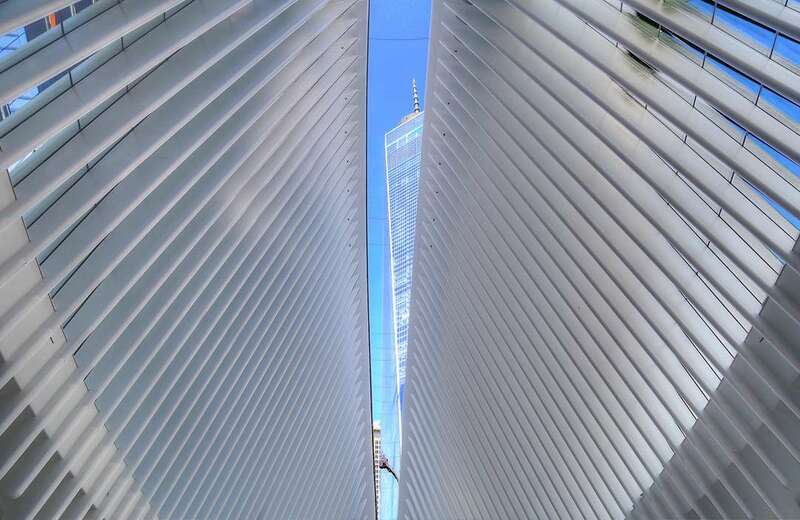 “Due to its structure and luminosity, the Oculus is a piazza for New York, the same way piazzas were traditionally understood in Europe: as a place for visiting and gathering, in which the access to the main locations of the city are articulated,” said Calatrava. Due to its original design and its role as one of the city’s major nexus points, Calatrava expects the Oculus to become a landmark synonymous with the city itself. “I honestly believe that the station is going to follow in the footsteps of other iconic structures in the city, such as the bridges over the Hudson and the East Rivers.” Today, New Yorkers finally have the chance to evaluate this much-discussed building for themselves.